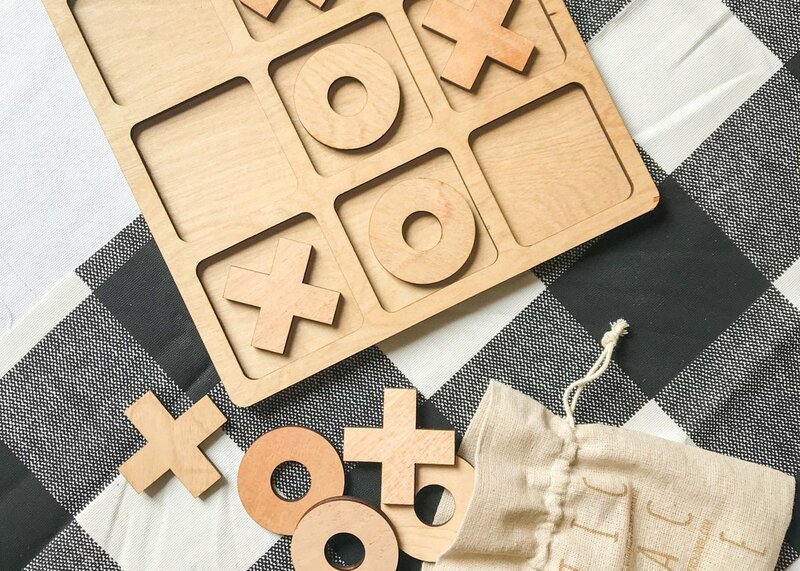 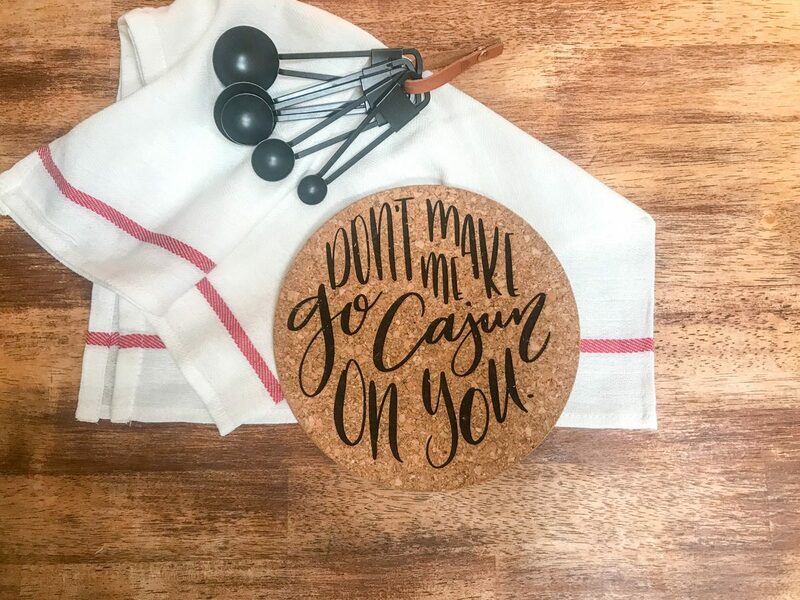 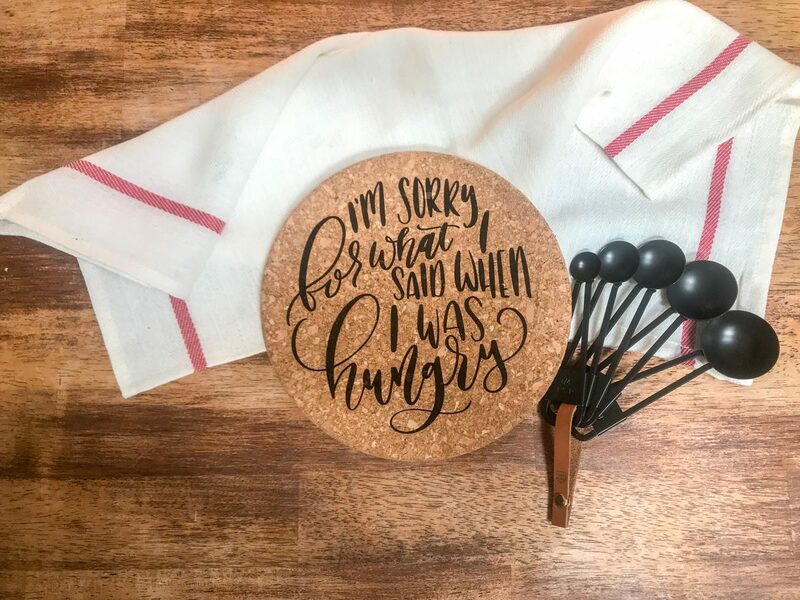 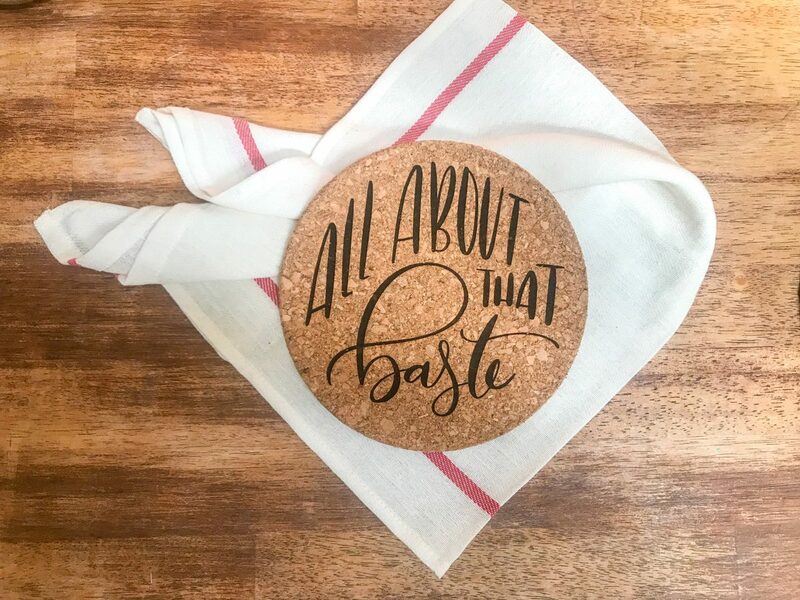 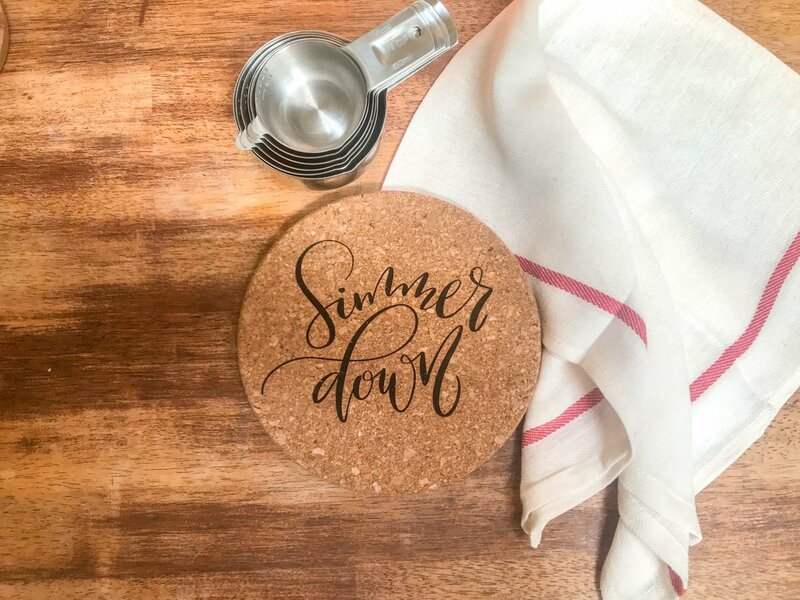 Liven up your kitchen and table with these custom hand-lettered cork trivets! 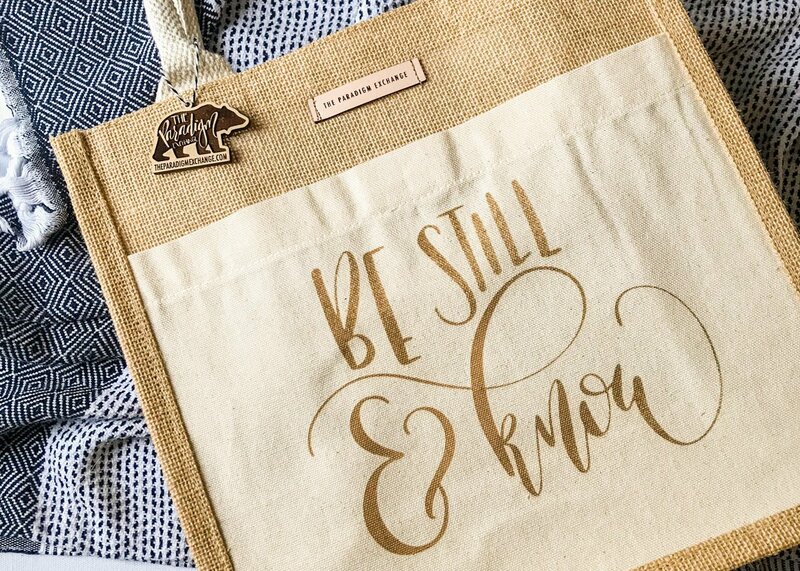 Each of these have been laser etched for durability. 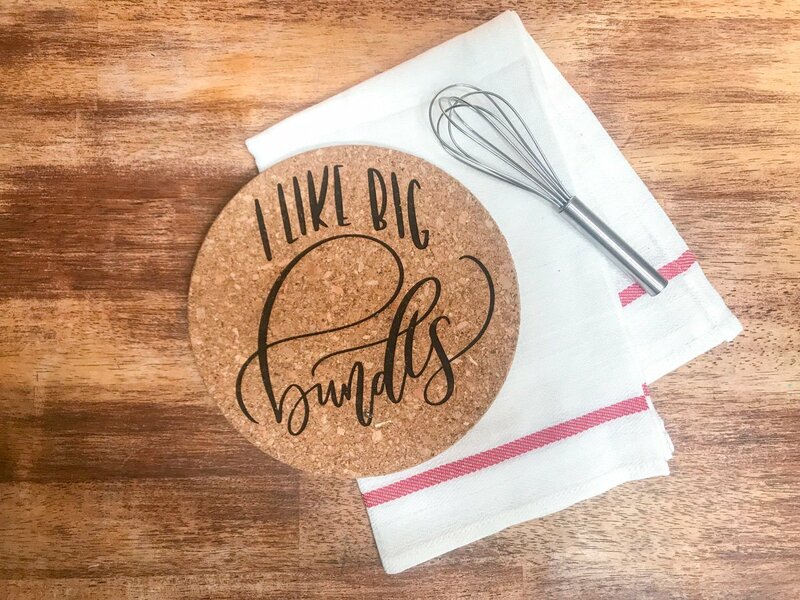 These trivets are approximately 7.25″ in diameter. 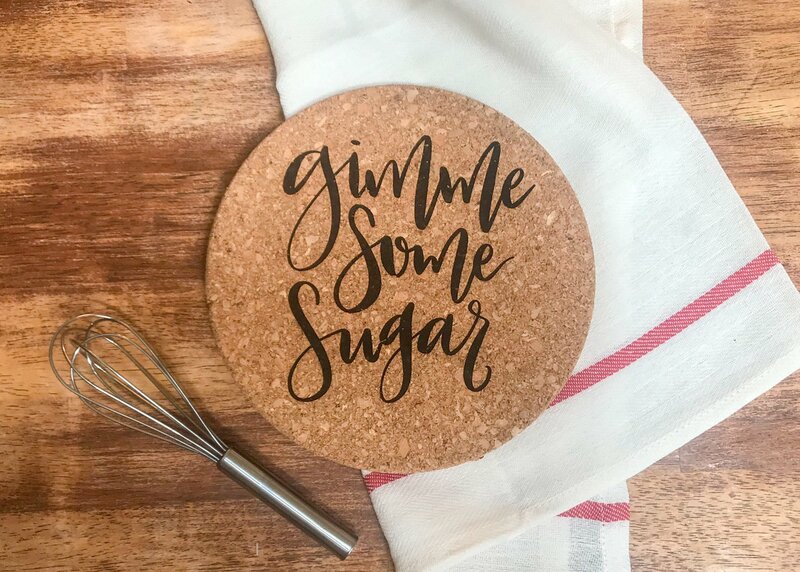 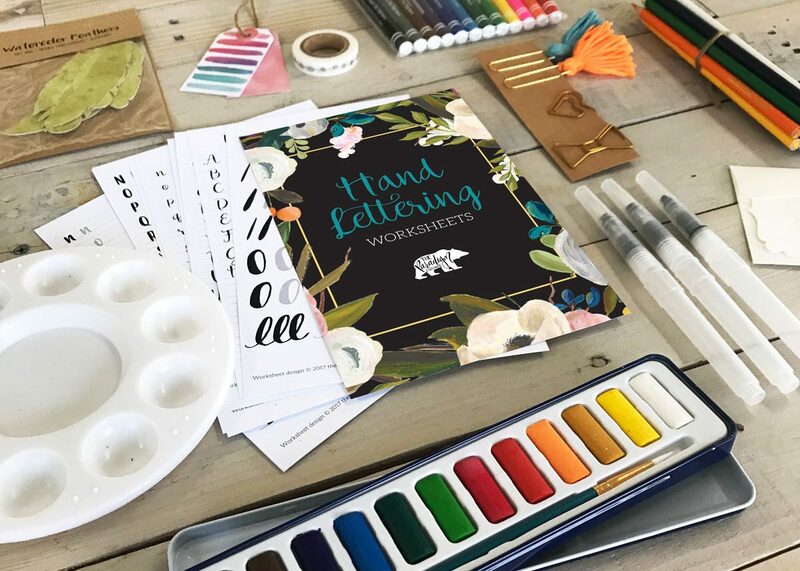 Add $5 for a custom inscription.